Just finished the book and I loved it. I have thoroughly enjoyed your links to the music that Julian played at his concert. The “Vertigo” was amazing!!! I’m really looking forward to the audiobook as well. Thank you, Nikki. Researching the musical background for Cadenza was a particular pleasure. Although I studied music at college, the works of Pancrace Royer were new to me and Vertigo was the first piece I heard – brilliantly played by Jean Rondeau, of whom I’m a huge fan. I’m delighted that you and a few other readers are also enjoying both a little-known composer and a young virtuoso – who has so much in common with Julian Langham that it still knocks me sideways! 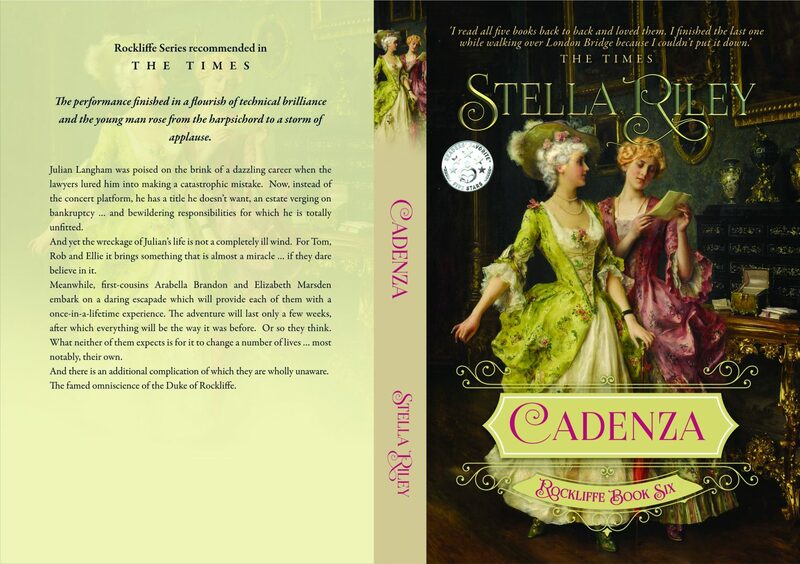 Any date for the audiobook Stella?? Nothing definite as yet, Carol. Since I saw Alex in September in LA, his work-life has been somewhat dictated by the dates (still unclear!) of a forthcoming film role. At present, he’s taking a well-earned holiday back in the UK for Christmas and, all being well, hopes to be able to record Cadenza in January … but can’t guarantee anything. Will there be an audio book too, with the wonderful Alexander Wyndham? There will indeed, Amanda, but Alex’s schedule has prevented him recording it yet. We are both hoping he can get it done in January. Meanwhile, he’s read the book – and loved it! Previous Previous post: SIGN UP FOR MY NEWSLETTER!